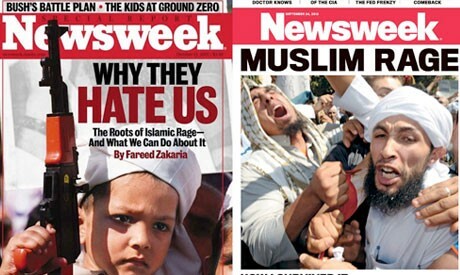 Let’s face it, Islam gets a pretty bad reputation in Western media these days. Having grown up in a White, Christian and ‘Middle class’ environment my only knowledge of islam came from the occasional reference at school and inflammatory reports in the press. This never felt right to me. Sure, the world has seen much bloodshed in the past 50 years and islam related voilence has been a hot topic over the past decade especially. I am finding it difficult to avoid televised ‘atrocities’ and it feels like every time I browse the news, I am being turned against Islam. Surely there is more to this than hooded jihadists executing people on liveleak? Now I don’t want to get into a debate about politics and religion but would like to share a tragic yet beautiful experience that happened 3 years ago. I was working at a market research call centre with my twin brother and made some wonderful mates. One of these friends was a young Somali called Mohammed or ‘Mo’ as he liked to be called. We used to enjoy going for a drink at the harbourside after work and everyone loved this guy. It was impossible not to. He was as friendly as it gets and was always up for a laugh! He wasn’t the best employee (nor was I) and he regularly pulled ‘sickies’ after parties but even our bosses couldn’t help but like him! We were all invited to colleague’s birthday party one Friday night and once we got to his house, it was clear that the drug vibe was pretty intense. There was all sorts going around and we soon found ourselves sat in a circle enjoying a big tin full of weed that a friend had generously provided. I’m not gonna lie. It was a lot of fun. I had a wonderful time catching up with my closest and best friends and there was nothing but laughter and happiness in that room for several hours. As it neared 2am we decided to head home and Mo kindly looked after us in our drunken state and rang me a couple of times on our long walk home to make sure that we were ok.
Little did I know that I would be speaking to him for the last time. 2 days later I had started a new job as the very first employee of a marketing company in Bristol and I got a message on Facebook from Mo’s cousin. He asked me if I had heard from Mo and I immediately felt that something wasn’t right. It wasn’t unusual for Mo to go on a 2/3 day bender but I was really worried. I rang a friend at work to ask if he had heard from MO and was horrified when he said “Mo passed away on Monday night”. The last time I had seen Mo I had given him a bottle of vodka so that he could keep partying whilst we left. I felt partly to blame and felt sick to my stomach. Mo had died of a MDMA overdose according to the toxicology reports. Our friend group had left the party and he was the only one still there with other work colleagues and friends so we have never heard the full story of what happened that night. It was a tough time and I had to ring every single one of my pals that knew him to tell them the bad news which was tough. My twin brother was closer to Mo than me and it really hurt him. I had only ever been to christian funerals and had no idea what a muslim funeral would be like. What do I wear? What do I say? Where do I go? Mo was a bit of a ‘lone wolf’ and most of his family lived very far away around the world. All they knew was that he had died of drugs whilst being with English friends. I feel like they had every right to be furious with us. All of these questions were racing through my head leading up to the funeral and I was blown away by the warmth and kindness of his family. His uncle led us around outside the mosque and then introduced us to Mo’s brothers, cousins and parents. The 10 of us stuck out like a sore thumb wearing our suits. There must have been over 300 people there wearing normal clothes and it seemed like every somali in Bristol was grieving that day. Everyone was so kind and warm to us and we were taken into a small room to see Mo’s body. It wasn’t easy looking at the dead body of your pal on a table. It really sucked. I couldn’t help but tear up and his uncle hugged me and just said “it was his time”. There was no blame here. My own parents would have wanted to find out why this had happened yet Mo’s family accepted that he was gone and didn’t point any fingers at all despite the controversy surrounding his death. After some prayers the coffin was loaded into a hearse and 20–30 somali taxi drivers took us to the burial ground just outside of town for free. It was incredible to see the entire community help out here and I had never seen this side of my hometown. I did feel bad when I realised that Mo’s mother and all of the women were not allowed to go to the burial and that didn’t feel quite right to me. This is just my personal opinion and I must admit that I know very little of muslim culture. The burial was chaotic to say the least but this was a beautiful chaos. As his coffin was lowered into the ground everyone started grabbing shovels and we collectively buried him. There were actual scuffles as men tried to grab the shovels and we were dragged around amongst the chaos so that we could help bury him. It felt natural that everyone should contribute towards his burial and we all helped lay Mo to rest facing Mecca. This was my first ever experience of a muslim funeral and it gave me an insight into a beautiful community in Bristol that I had never seen before. This was a tough thing to deal with as a teenager but I am grateful that I could experience another culture and since then, I have made many more wonderful muslim friends and have more of an understanding. Sure, I don’t feel aligned with certain principles however I feel the same way about all religions. The world is dealing with some difficult situations right now and I hope that Muslim people stop getting the bad rep that the media imposes on them. It’s an incredibly small and insignificant percentage of ‘extremists’ and it seems that all religions and faith systems have gone through cycles of violence and persecution. Can slaying zombies online help to run a startup?